Everyone recover from your turkey hangover? Get your fill of NFL football? How about shopping–did you brave the masses? Me, I just sit at home and do the online thing. Amazingly enough, this year’s Black Friday weather in MN is quiet. Doesn’t mean I have any intention ever of venturing into die-hard shopper-infested malls. My NaNo project is moving along. I’ve learned–after doing NaNo for over a decade–that my first draft is crap (duh), and I figure out through the process what’s missing and what doesn’t work in the story. It’s like while I’m writing (with a muzzled inner editor), my brain churns through the story, testing how it fits into the storybuilding process. As I hit a later chapter, my brain pipes up and lets me know what I missed early on. For example, in my current WIP, I’ve got two characters in an early chapter that have a specific role. They’re even in a whole scene. Problem is, they don’t show up again. So here I am, grinding toward the middle of the story, when my brain throws up a red flag. Hey, these two need to show up again, or they need to go. What are you going to do about it? Oh. Yeah. Um. Hmm. Ideally I’d make a note and keep going, but it’ll bug me for-ev-er if I don’t at least outline another scene for them. Another character, one of the antagonists, also shows up, and doesn’t return to the stage until, wow, way later. That isn’t right. So now I’m writing up another scene that brings the antagonist into a bigger spotlight. Bonus is, beyond tension, it adds to the “whodunit” aspect of the story. It’s interesting, though, how I don’t realize the knots and holes until I’ve written the draft, and then a light goes on that reminds me of story construction. What seemed fine when I started doesn’t work right once I’ve written through it. Classic example is my soon-to-be-published book. The main character is a female aircraft mechanic who finds a body. In an airplane. I know, I know, finding a body in a mystery novel is weird 😛 Finding a body in an airplane is different, but in a good way. Having the antagonists work at a construction site, albeit on the airport grounds, well … Yes, in the first draft, a good portion of the story took place at a construction site. When I finished the story, I heard my writing teacher’s voice, clear as day: Why are they at a construction site? Why aren’t they at the airport? DUH! Of course it has to be in the airport. That’s the unique setting. The MC is an aircraft mechanic. DUH! Point is, I didn’t get it until I’d finished that draft, and my brain had ker-chunked its way through the story while I did the actual writing. So, for me the draft is like the test run, and my brain spends its time comparing the story to all the stuff I’ve learned over the years about how to plot, character arcs, subplots, conflict, story structure, etc. I do a loose outline of my stories, but that must not be enough meat for the ol’ noggin to work with. And once it hits a spot where I’ve failed to follow the story-building process–characters, conflict, story goals, obstacles, stuff like that–it throws up a red flag. I often can’t see those spots until I’ve written through them. Which, I suppose, is the point of a first draft. I’m on the straightaway for my NaNo quota, so I’m pretty sure I’ll hit 50k, maybe even by the end of the weekend. The story won’t be finished, though. It’ll be another few weeks before I hit “The End”, and the story will cool for a month or so before I start any sort of revision. Categories: Inspiration, NaNoWriMo, revision, Writing | Tags: Inspiration, nano, plotting, revision, writers | Permalink. Happy Thanksgiving, everyone! Stop over at Don Massenzio’s blog today between football games and check out my interview. Don’s got a great site, so afterward, poke around a bit. He’s got some good writing posts. Today, I have the distinct pleasure of featuring author J.M. Goebel on this edition of A Perfect 10. In case you were wondering (okay, you weren’t wondering, but I’ll tell you anyway), I’m keeping up with my NaNoWriMo quotas. I’m actually a little ahead, so I’ve got a bit of a cushion. My writing office door whooshes open, and my Muse makes his entrance complete with Ghirardelli chocolates in one hand and Schell’s Firebrick lager in the other. What? No Moon Man? “Don’t hurt yourself patting your own back. I’m at the end of the section I’ve got laid out, so you’re going to have to stick around to help me. And no urban fantasy stuff.” Although I will keep that story around. I’ll figure out the rest of it. Eventually. It’s past halfway for NaNo, and I’m doing okay. Planning for progress this weekend, since next week is Thanksgiving already. Man, I cannot believe how time is flying this year! A long weekend next week, so hopefully I can get within spitting distance of 50k. The book won’t be done–it usually takes me six weeks to complete a draft–but 50k is a pretty solid chunk of it. Then set that aside and work on my other story. Yep, my Muse got the fire going. Man, that creative burn sure feels good! Categories: Inspiration, muse, NaNoWriMo, plots, Writing | Tags: creativity, Inspiration, muse, nano, plotting | Permalink. 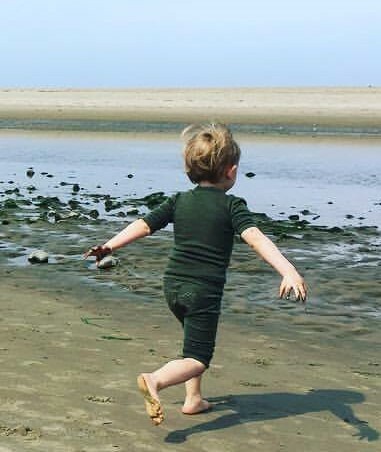 Tornado Boy is 4 years old, and he’s a burgeoning author. 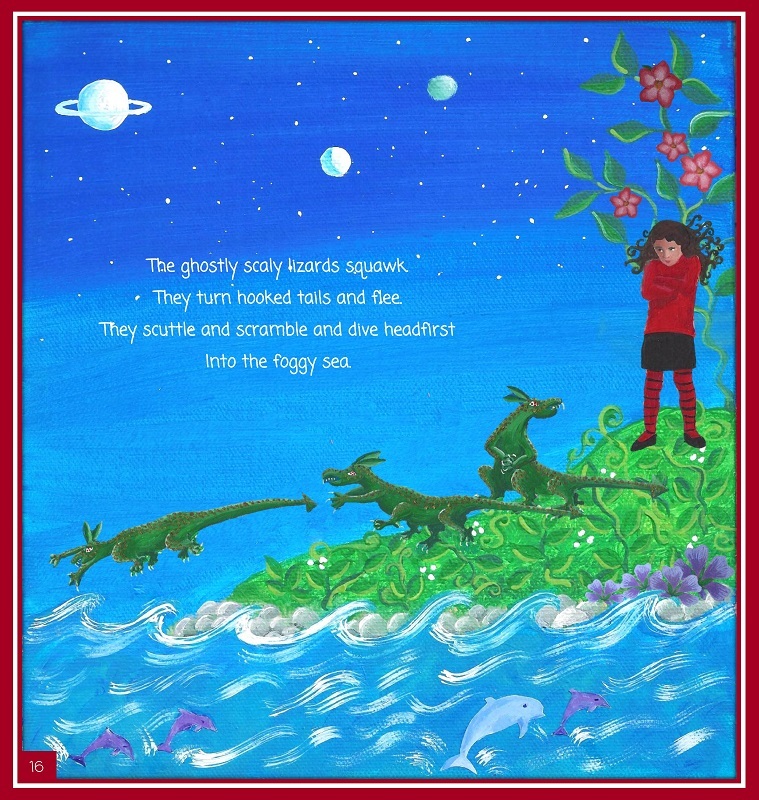 He dictates stories to his parents—mostly science fiction adventures on the planet Gorgon where the Gloobs are shooting lasers at the bad Pooglas but not at the good Pooglas who are trying to save the Rainbow Gems from the witch. It’s a complex story with a convoluted plot, but if you’re 4, it makes perfect sense. His mom and dad dutifully write down the EXACT words, or they’ll get in trouble. Then, they add a few supervised illustrations. The stories are rolled into scrolls and presented to Grammy (me) tied with a ribbon. A public reading and celebration ensue. 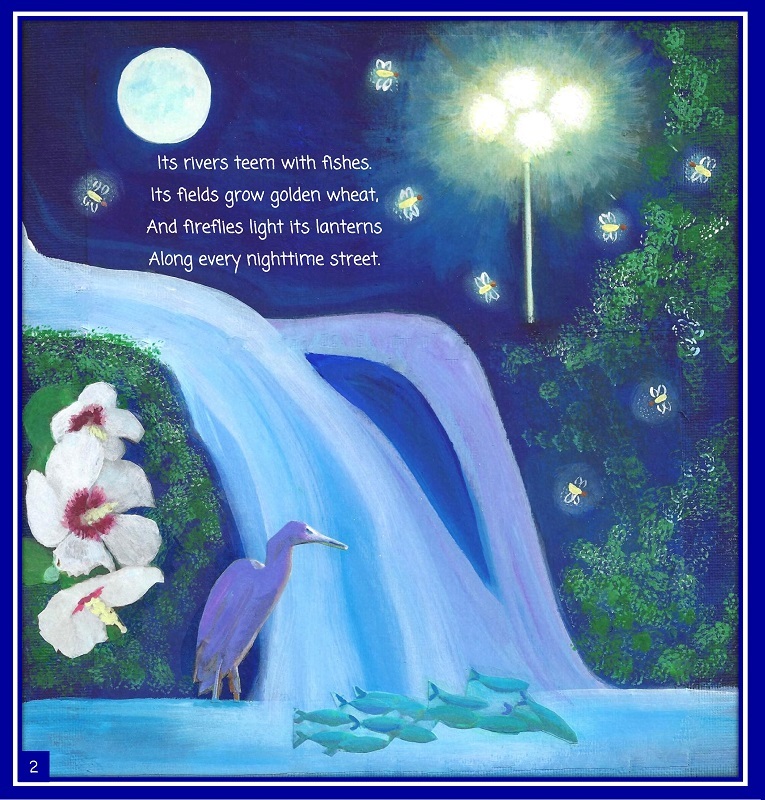 Ah, well, I used to dabble with acrylics… amateur, but kid’s books come with all sorts of illustrations. As luck would have it, the last adult fantasy series had burned me out, and I’d planned to take a break for the summer and do something different. Three months later I have 24 little paintings spread across my window sills and a Tornado-Boy-approved book. D. Wallace Peach is a writer of grown-up fantasy and science fiction, but she’s also a grandmother who treks to the Gnome Forest hunting rainbow gems with grandson Revel. 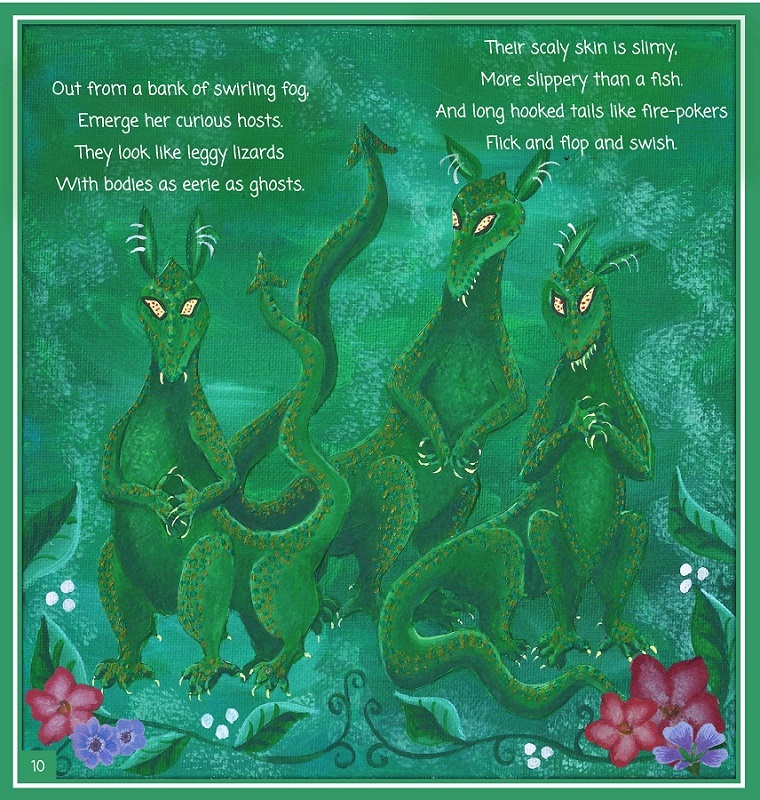 They keep an eye out for purple baby dragons skritching in the Dragonwood and gather gold buried around the magical tree of mystery. 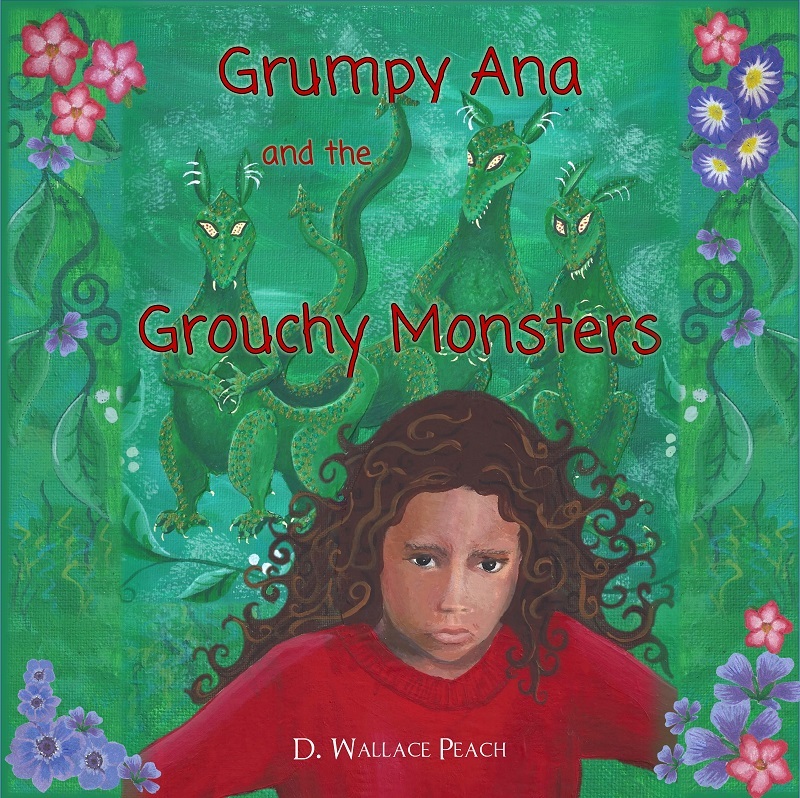 Grumpy Ana and the Grouchy Monsters is her first children’s book. More to come! Categories: Authors, genre, Inspiration, Writing | Tags: guest authors, Inspiration | Permalink. BAM! A brand new, never-before-imagined idea blasts through my brain. He’s right. Damn it, he’s right. I want to chase this idea. I want to sit down and start writing this, not help files for software. OMG, I’m going to be distracted by this all day. Categories: Inspiration, muse, NaNoWriMo, Writing | Tags: creativity, Inspiration, muse, nano, writers | Permalink.